Dimensions : 101 h x 78 w x 60 d cm. 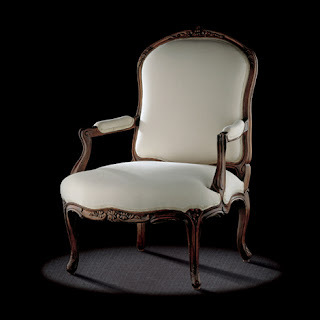 This Louis XV armchair is a perfect copy of a very fine model by the excellent Parisian carpenter attached to the Garde Meuble de la Couronne from 1777, and who was an innovator very much in touch with the fashions of his time. 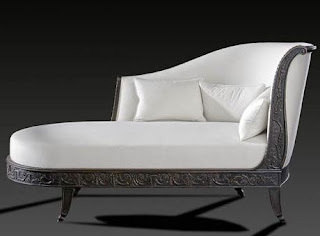 In addition to very pure generous lines, clever moulding and gracious, balanced carving, enthusiasts will note the front en forme legs. 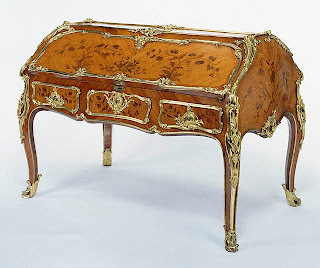 Jean-Baptiste Boulard (master in 1754, died in 1789), whose workshop at Rue de Clery closed in 1832, a major carpenter in his time, produced the original of this magnificent chair ( Master Pieces). He used two different marques.